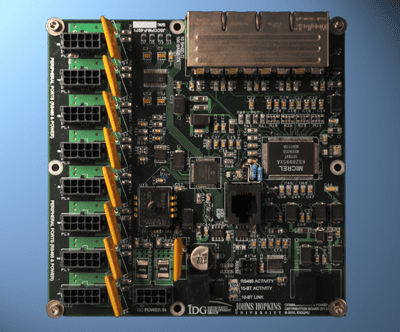 This in-house custom control board was designed to provided all the communication. telemetry and control requirements for the new NASA Johnson Space Center Cryo Position Meteorology System that will be used to assess the as-built engineering tolerances of the James Webb Space Telescope. This assembly comprised of a CCD sensor cooled with a Joule-Thomson cooler, a low noise analog amplifier board, and an analog multiplexer board. 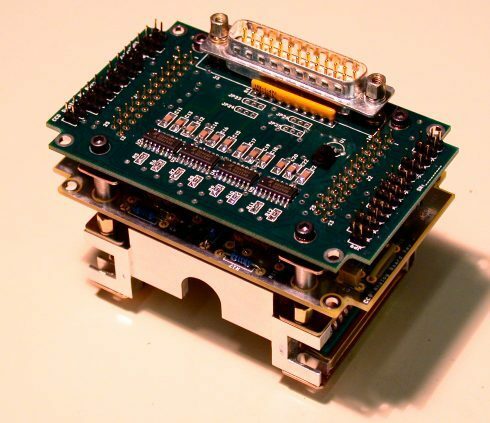 The board stack was designed to plug directly into the CCD cooler assembly.